The new HP devices unveiled recently are geared towards small businesses. 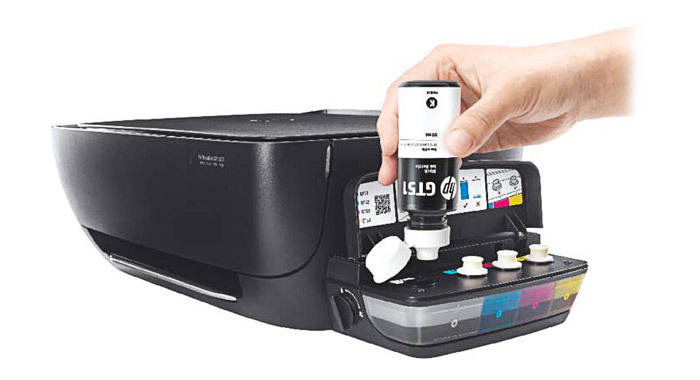 This time, HP has drawn its precise attention to office needs in reliable and quality printing (and not only superb photo printing as the company’s hallmark) providing bigger print volumes, various mobile connectivity and trouble-free ink replacement options. The DeskJet GT series devices print up to 8,000 pages in color and up to 5,000 pages in B/W. The option allows to improve workflows greatly. The famous specially formulated HP inks provide clear and sharp texts and graphics as well as vibrant bright photos and images. By this the company tries to make high quality printing more affordable in the office environment. The innovative spill-free refill system will help office managers change the 3 color and 1 black ink tanks clean and easy and also check the level of ink in the transparent tanks. To meet the growing demands of the modern offices the new models feature multiple mobile connectivity options. It’s easy to set up a printer using the special HP Remote app for smartphones and tablets on Android, Windows and Google Chrome. Using Wi-Fi Direct enabled devices users can directly connect to any HP printer in the office. This entry was posted on Tuesday, February 9th, 2016 at 7:50 am	and is filed under HP, inkjet, printer. "Cost-efficient Kyocera Printers For Office"
"Realistic Plastic Surgery Previews With MirrorMe3D Printer [VIDEO]"